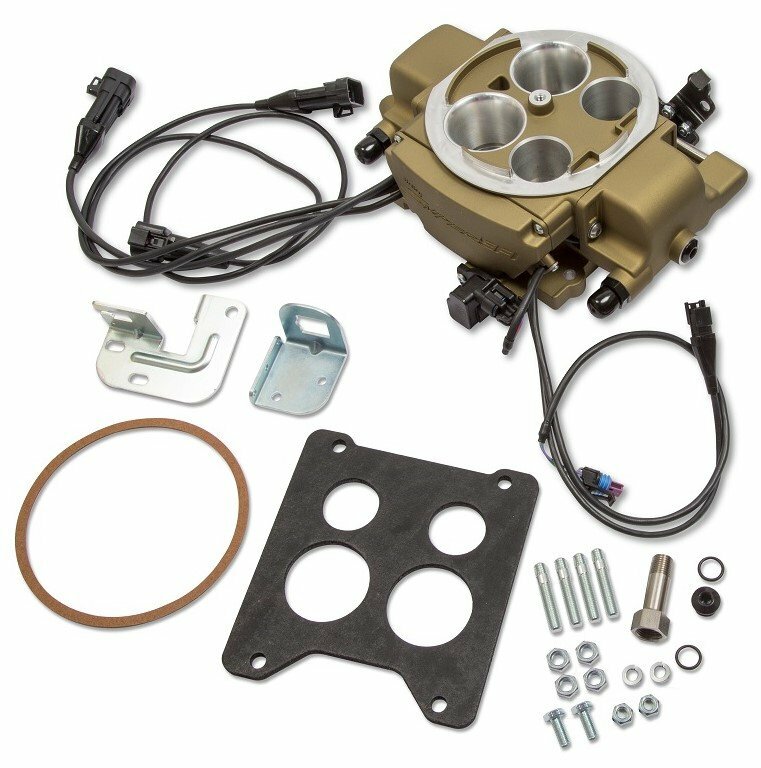 Sniper EFI Systems for Quadrajet™applications eliminate the need to continually rebuild 50-plus-year-old Quadrajet ™carburetors on classic Chevys, Pontiacs, Buicks, Oldsmobiles, and GMCs. 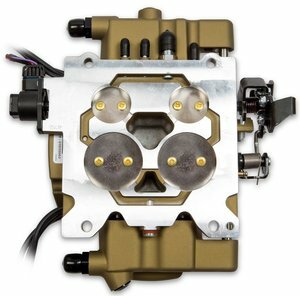 Able to support up to 500 naturally aspirated horsepower with four 100 pound-per-hour injectors, it's the first bolt-on spread-bore electronic fuel-injected throttle-body system that doesn't require additional adapters, sealing plates, or intake manifold swaps. 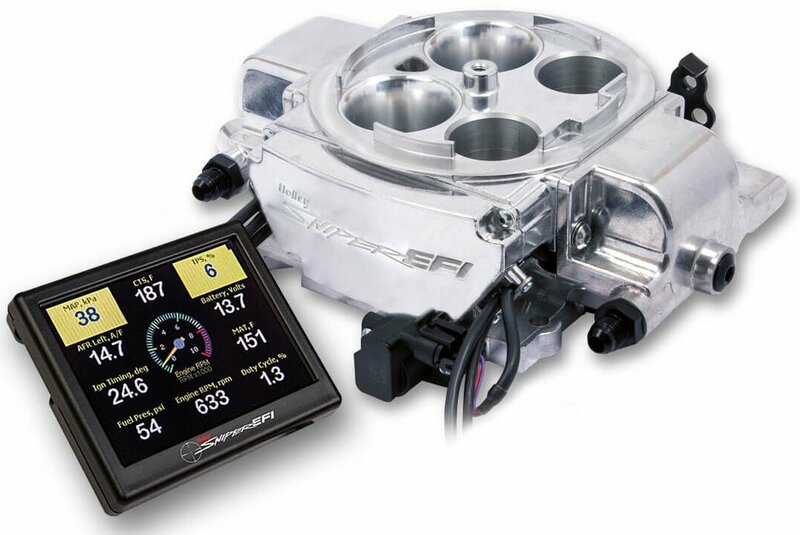 The Sniper EFI Quadrajet™ boasts the same great features as the 4150 Sniper EFI version – a 3.5-inch full-color touchscreen for initial setup, tuning, and gauge displays, multiple fuel-inlet configurations for a totally stock appearance, and integrated timing control – and it's compatible with most stock air cleaners. 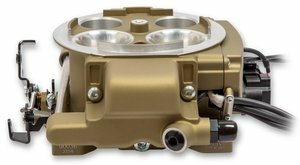 Installation doesn't get any easier, and with the throttle-body-mounted ECU there are no extra boxes to mount. 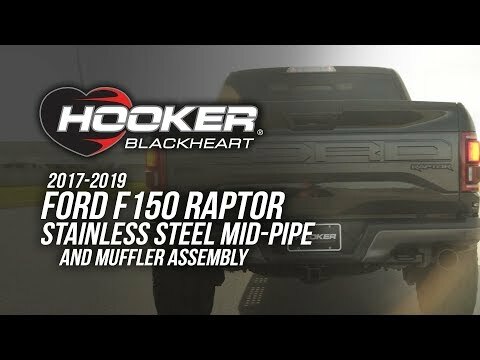 Just four wiring connections are required – battery positive, battery negative, switched ignition, and RPM – and a calibration wizard takes care of everything (no laptop required). 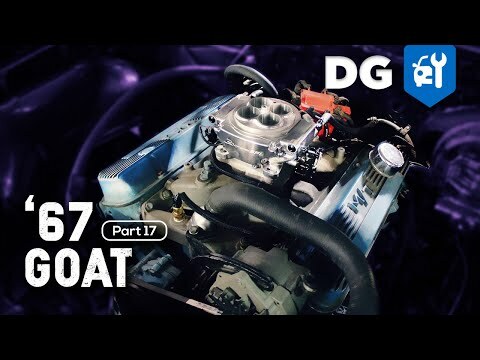 Just answer a few basic questions about your engine using the touchscreen, and the calibration wizard creates a base map and starts tuning on its own. 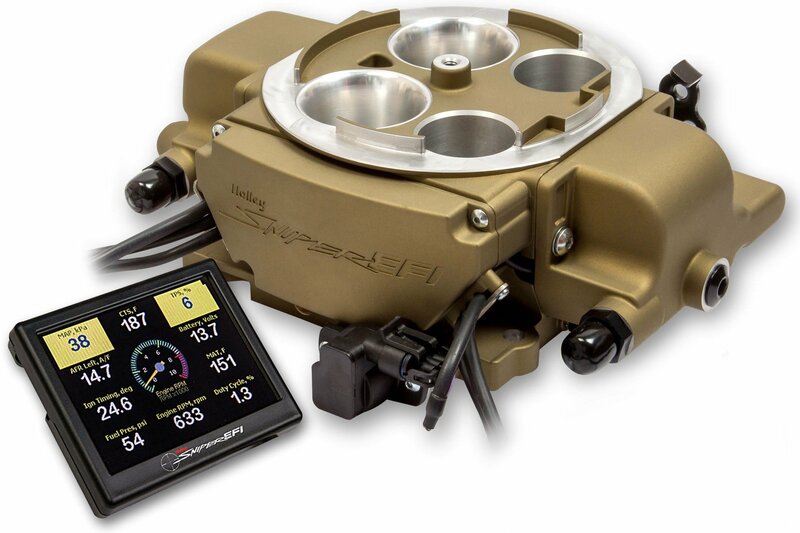 See detailed product information for Classic Gold Sniper EFI Quadrajet™. 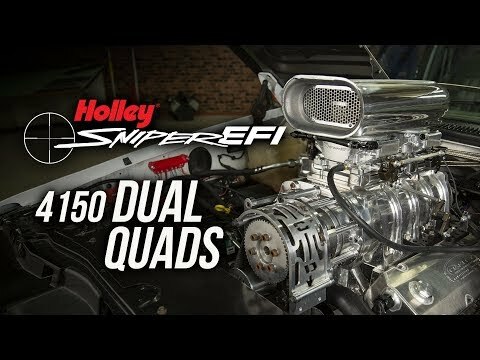 See detailed product information for Shiny Sniper EFI Quadrajet™. 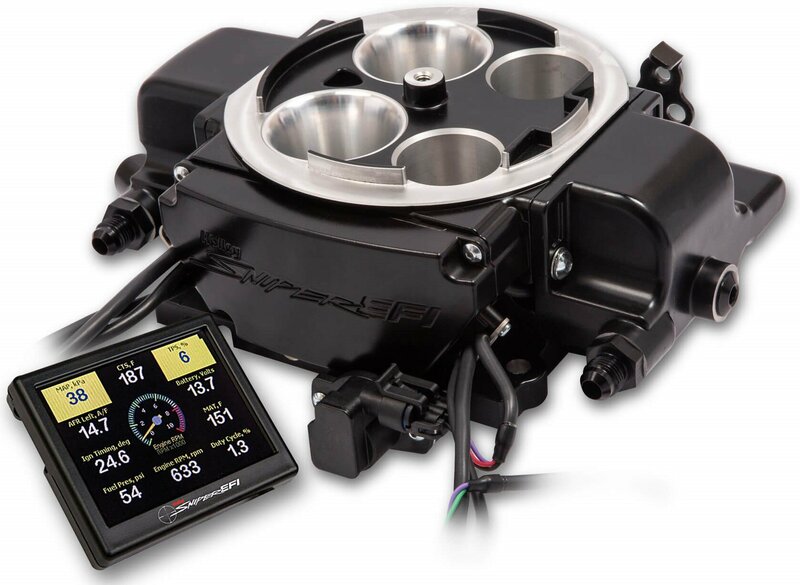 See detailed product information for Black Ceramic Sniper EFI Quadrajet™.